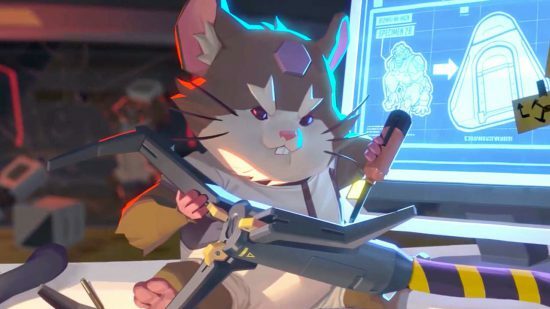 Like many of the new heroes introduced in Overwatch, the mass of “experts” have all come to the conclusion that Hammond is somehow both trash and broken at simultaneously. 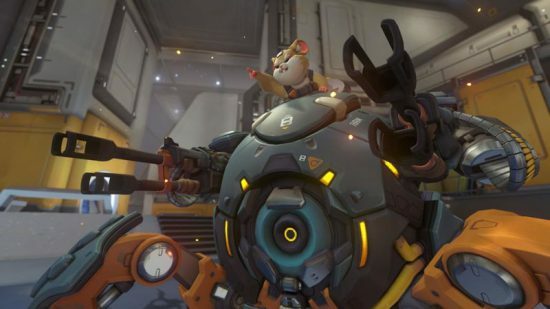 To begin with I thought Hammond was a lot of fun, but now people have gotten used to him rolling around, he’s a different experience. Hammond slots into the tank category, specifically what players would call a dive tank. This means he is highly mobile as the expense of being quite as hardy, much like D.Va or Winston. His main draw is what also gives him his name, he can switch at any time between his regular mech form and into that of a ball. When in ball mode he actually has the highest movement speed of any hero. Also while he’s in ball form he can fire his grappling hook and really live up to his namesake. Here’s where Hammond is both a ton of fun, but also where you can become a hindrance to yourself and your team. To be adept with Hammond you need to be intimately familiar with the physics that dictate his momentum, something no character has had previously. Additionally, knowledge of each map is also essential. Overwatch being a game that centres around fast decision making, the ability to grapple on a certain point to escape or bash a group of enemies is one with little room for error. If you miss hit and end up with a bad swing, that five second cool down can feel like an eternity. One in which you will probably end up dead. It makes playing Hammond a risky proposition, like Doomfist, his own body is his primary projectile. So throwing yourself into the mix is incentivised, because also like Doomfist, he has an ability that shields him based on how aggressive he is being played. It makes him a very unforgiving hero to play, and one I, as a pretty average player, struggle with. I’ve seen people play him incredibly well, so I know he’s not a bad hero. He’s just one with a high skill ceiling. While I had my fun with him, he feels like a hero that requires more investment on my part than I’m willing to put into him. He’s a novelty and little else when it comes to me playing him. Posted on August 9, 2018 August 8, 2018 by WooderonPosted in Condensed Reviews:, Video GamesTagged blizzard, first person shooter, grappling hook, hammond, hero shooter, overwatch, tank, wrecking ball. Next Next post: Is Anthem Bioware’s last chance?